Stroke is the 5th leading cause of death and a leading cause of adult disability in the United States, according to the American Heart Association/American Stroke Association. On average, someone suffers a stroke every 40 seconds; someone dies of a stroke every four minutes; and 795,000 people suffer a new or recurrent stroke each year. If you or someone you know is having a stroke, call 9-1-1 immediately. Capital Health Regional Medical Center (RMC) has earned the Advanced Certification for Comprehensive Stroke Centers three times from The Joint Commission and the American Heart Association/American Stroke Association. With this certification, RMC continues to be part of an elite group of health care organizations in the country focused on highly-specialized stroke care. To be eligible, hospitals must demonstrate compliance with stroke-related standards expected of primary stroke centers, and meet additional requirements, including volume of complex stroke and cerebrovascular patients, quality of care and outcome, advanced imaging capabilities, 24/7 availability of specialized treatments, and providing staff with the unique education and experience to care for complex stroke patients. As one of only eight Joint Commission certified Comprehensive Stroke Centers in New Jersey, Capital Health continues to be one of our region’s most experienced and trusted provider for assessing and treating the most complex strokes, aneurysms, AVMs and other cerebrovascular diseases. To earn this certification, RMC undergoes a rigorous onsite review, when Joint Commission experts evaluate its compliance with stroke-related standards and requirements. The Joint Commission certification is a national certification and provides a standard that must be met regardless of state and/or hospital size. Patients and their families can be assured that all comprehensive centers meet the same rigorous requirements inclusive of infrastructure and patient volume. Established in 2012, Advanced Certification for Comprehensive Stroke Centers is awarded for a two-year period. The certification was derived from the Brain Attack Coalition’s “Recommendations for Comprehensive Stroke Centers” (Stroke, 2005), “Metrics for Measuring Quality of Care in Comprehensive Stroke Centers” (Stroke, 2011) and recommendations from a multidisciplinary advisory panel of experts in complex stroke care. Capital Health Regional Medical Center in Trenton is the only Comprehensive Stroke Center in the region certified by The Joint Commission, one of only eight hospitals in New Jersey. The center, part of Capital Health's Capital Institute for Neurosciences, is available for patients who require the most advanced treatments for stroke and cerebrovascular care including endovascular and medical stroke services. Capital Health’s Mobile Stroke Unit, the first unit of its kind in the Delaware Valley and just the seventh to go live in the United States, launched in 2017. 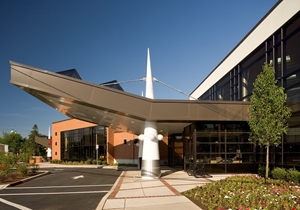 The Institute includes New Jersey's largest and most advanced Neuro Intensive Care Unit. In addition to providing high level, tertiary level clinical care, the Institute has a strong focus on research and the Neurovascular Research Center houses the nation's only Neuroendovascular Simulator for teaching, surgical preparation, and device testing. Learn more about our Capital Institute for Neurosciences by visiting capitalneuro.org. Capital Health Medical Center – Hopewell has earned The Joint Commission’s Gold Seal of Approval® and the American Heart Association/American Stroke Association’s Heart-Check mark for Advanced Certification for Primary Stroke Centers. The Gold Seal of Approval® and the Heart-Check mark represent symbols of quality from their respective organizations. 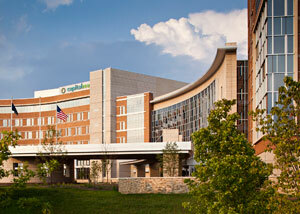 Capital Health Medical Center – Hopewell underwent a rigorous onsite review. Joint Commission experts evaluated compliance with stroke-related standards and requirements, including program management, the delivery of clinical care and performance improvement. Established in 2003, Advanced Certification for Primary Stroke Centers is awarded for a two-year period. Information about accredited organizations may be provided directly to the Joint Commission at 1-800-994-6610. Information regarding accreditation and the accreditation performance of individual organizations can be obtained through the Joint Commission's website at www.jointcommission.org.